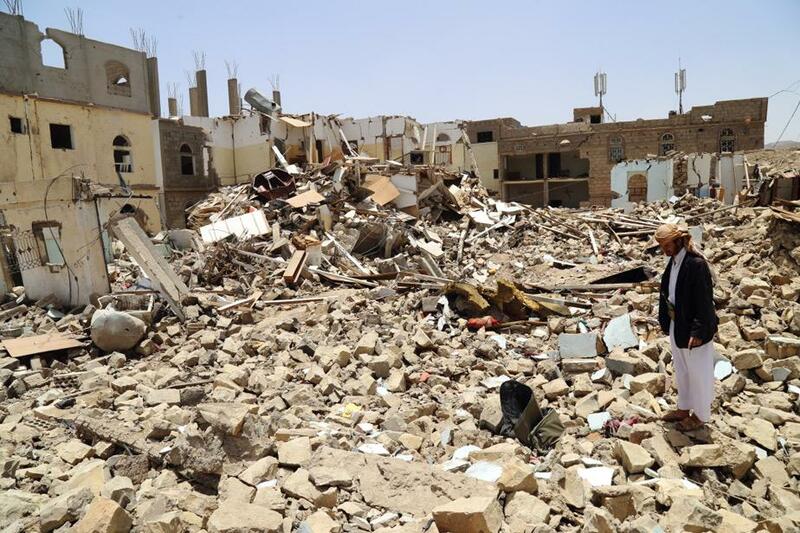 Geneva- The Kingdom of Saudi Arabia confirmed that the coalition operations in Yemen began in 2015 at the request of its legitimate government when it faced an illegal armed rebellion that obstructed the process of peaceful political transition and seized state institutions by armed force. In his speech before the Human Rights Council in Geneva, Head of Human Rights and Humanitarian Affairs Department at the Saudi delegation to the United Nations Fahd bin Obaidullah al-Mutairi stressed that the coalition’s operations aim at restoring the legitimate government in Yemen, which is internationally recognized by the Security Council through resolution no. 2216. Mutairi confirmed that the Houthi militias and forces loyal to ousted President Ali Abdullah Saleh violated the international humanitarian law and human rights without any penalties, pointing out that these militias targeted the Kingdom’s security with ballistic missiles. He expressed his deep regret over the suffering and loss of innocent lives suffered by the Yemeni people, and he said that the Saudi-led coalition is taking major steps to protect civilians during its military operations to end suffering, minimize humanitarian damage and speed-up the relief efforts for the Yemeni people. He stressed that the Kingdom welcomed the role played by the Yemeni National Committee for the Investigation of Human Rights Violations, pointing out that the Joint Incidents Assessment Team (JIAT) will continue to carry out its tasks, ensure that all military operations comply with the provisions of international humanitarian law and investigate all incidents that are alleged to cause civil damage in order to avoid any errors.